Architects: SOM; Program: Mixed Use (Office, Residential, Hotel, and Retail); Location: New York, NY; Completion: 2020. 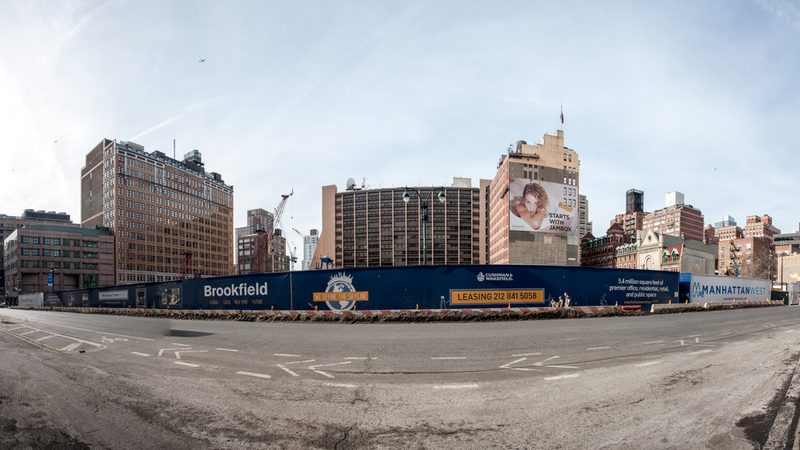 Manhattan West is a site owned by Brookfield Properties that consists of 5.4 million square feet of development on 5 acres near the Hudson Yards development currently under construction. The project consists of 2 office towers, a residential tower, a hotel tower, an existing tower to renovated at 450 West 33rd Street, and a central plaza. Before the new towers can rise, a platform must be constructed across the rail lines that bring trains into and out of New York through Penn Station. 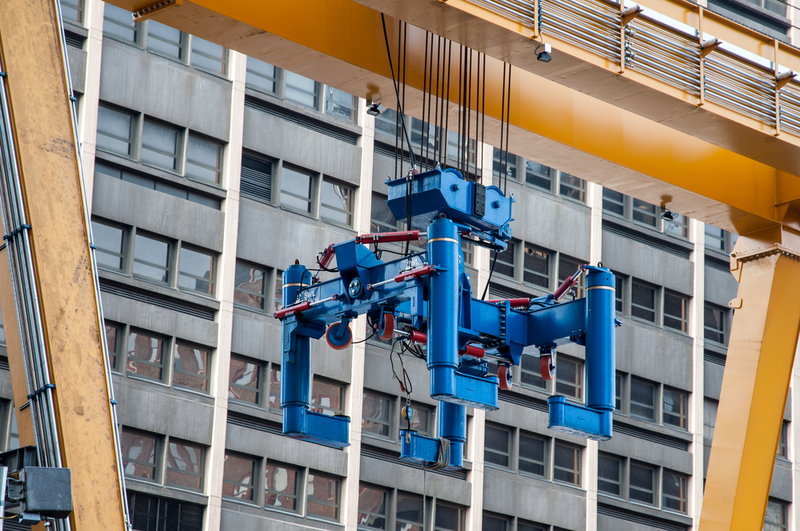 A large, bright yellow piece of machinery called a launcher has been constructed at the western edge of the site to lift and place onto a temporary platform each of the 56 ton precast concrete segments of the 16 bridges that will span the tracks below. Once one of the bridges is complete, the launcher moves it laterally from the temporary platform to the final location. The project is now in the early stages of this bridge building process.